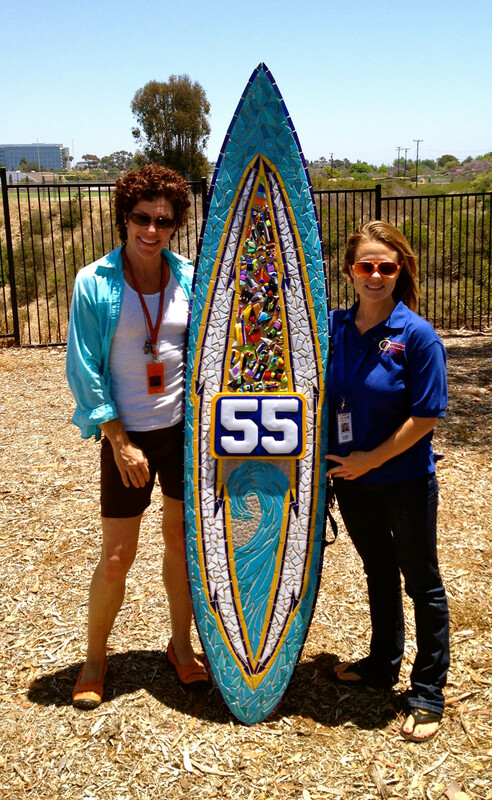 Cherrie LaPorte created this special mosaic glass tribute surfboard for the Junior Seau Memorial with the help of Rerip.com and the kids from the San Diego Center for Children’s. 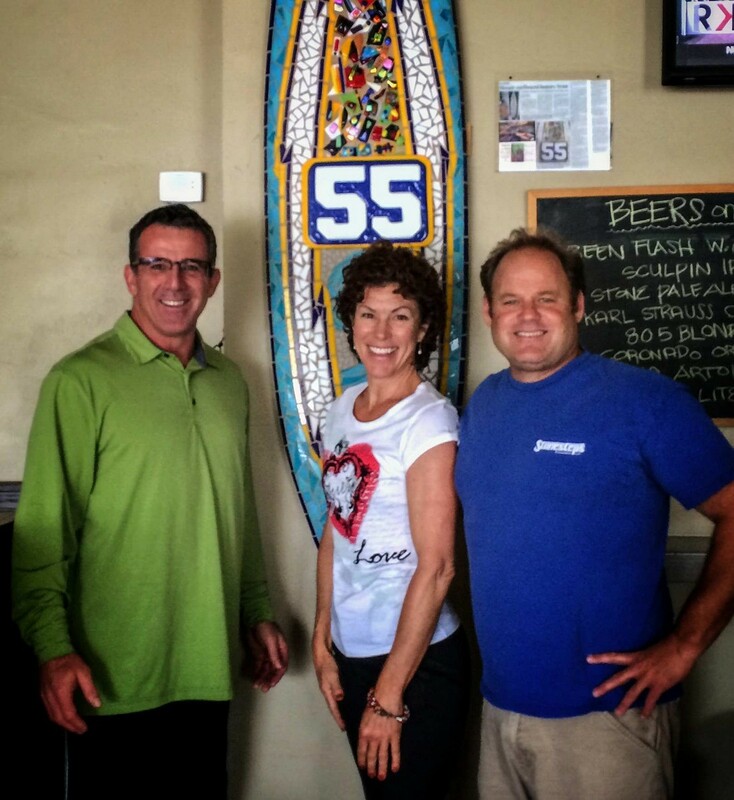 NFL Alumni San Diego Chapter “Caring for Kids” events. A tribute to Jr Seau. View the NBC Sports Video about the story. Junior Seau has been a significant contributor to our community by empowering children through different organizations, the San Diego Center for Children being one of them. 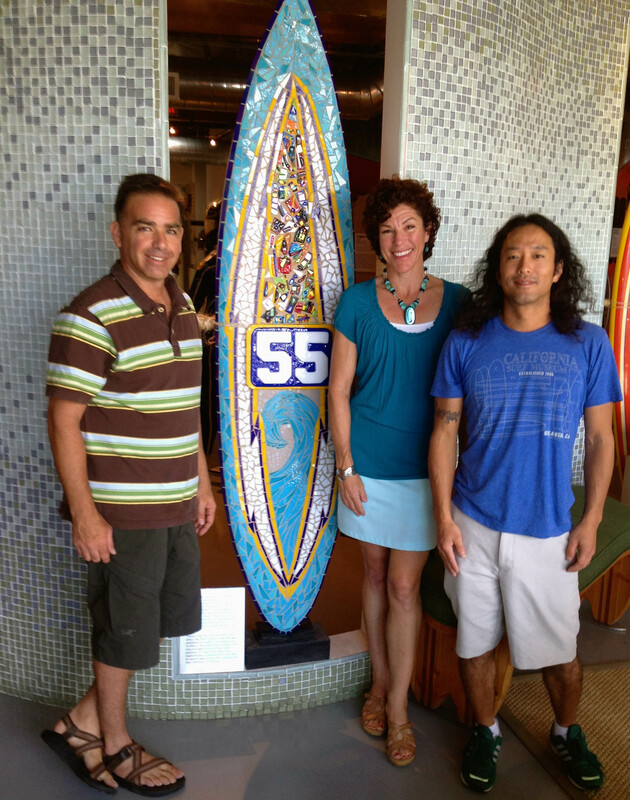 The San Diego Center for Children, Rerip www.rerip.com and Cherrie La Porte, local professional glass artist, came together by an unusual circumstance and decided to create a memorial glass surfboard as a public art sculpture to honor Junior Seau. Some of the children of the SDCC created their own glass pieces to be add to the memorial Seau Surfboard and in the process learned a new art form that had not been shared with them before. 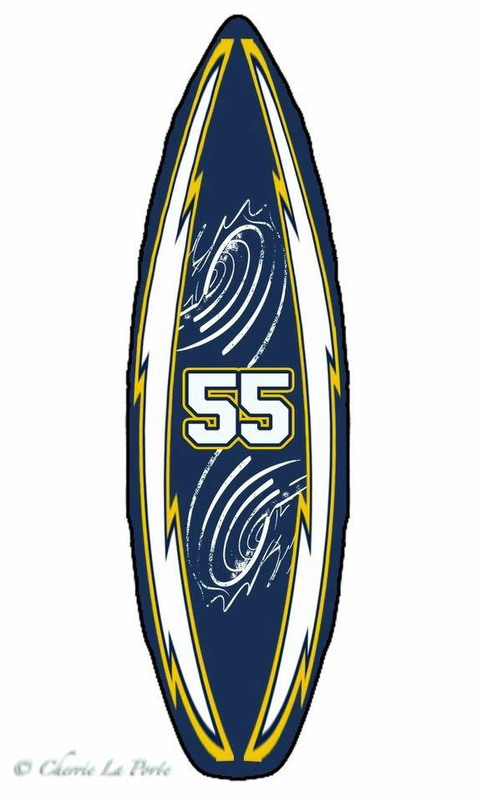 The memorial Seau Surfboard has become a collaboration of many that have been touched by Junior Seau’s generosity and spirit. We hope others will be inspired to give and help support projects within their community and make a difference in the world. It is Cherrie’s hope we all follow our passion and in return others will be inspired to follow their own. ©2018 Copyright Cherrie La Porte. All Rights Reserved.